Operating a business without a valid buy-sell agreement is like driving a car without insurance. Buy-sell agreements provide much-needed protection when an owner involuntarily leaves – or voluntarily wants out of the business. A comprehensive agreement not only defines the term “value,” but it also incorporates buyout terms and includes provisions for various buy/sell scenarios and contingencies. Every owner wants to get a fair price for his or her business investment. But private firm market prices aren’t usually published. A professional appraisal provides an objective estimate of what a business interest is worth in today’s marketplace, based on public market data, private transaction databases and an analysis of the subject company’s performance. The interest being valued (minority, nonmarketable or controlling interest). When choosing the appropriate standard of value, the valuator considers how the appraisal will be used. For example, fair market value traditionally is used in tax situations and fair value may be statutorily defined. To avoid future problems, the appraiser takes into account any legal precedent associated with the chosen standard of value. The definition of value also may vary depending on the triggering event, the business’s ownership composition and the agreement’s provisions. For example, if a 2% owner initiates a buyout, it might be appropriate to value his or her interest on the offer date on a minority, nonmarketable basis. Conversely, if a 60% owner dies, a controlling (undiscounted) value might be appropriate, effective on the date of death. Although envisioning exactly how a buyout will happen is a difficult-to-impossible task, business owners should attempt to visualize the most likely scenarios. Shareholders need to decide between the options of receiving one lump sum or taking installment payments with a prescribed interest rate. And some installment payments may be contingent on future earnings. Owners also need to consider who’s funding the buyout. Sometimes the company repurchases shares. Alternatively, shareholders may want to personally buy out an exiting owner’s interest. A “Texas shootout” provision is another, more creative alternative. To illustrate how this provision works, suppose Tom, a 50/50 owner, wants to initiate a buyout and names a price for his interest in the business. Then Janet, the other owner, decides whether to buy or be bought out at that price. In this scenario, Tom shouldn’t lowball his partner Janet – or he’ll risk being underpaid for his investment. Conversely, if he overvalues the interest, Janet will receive a windfall. Tax obligations can affect deal structure, but there are personal considerations, as well. For example, does the owner want the deceased’s family involved in future business operations? Is he or she planning to sell the business before an installment term expires? In all of these scenarios, the owner should carefully discuss financial and personal goals with a business appraiser before an unexpected event occurs. A thorough buy-sell agreement outlines the process of obtaining appraisal expertise. Some agreements call for both sides to retain separate experts and for a third appraiser to resolve any discrepancies. Others may opt for a single, unbiased valuator. Some buy-sell agreements may even specify an individual appraiser or a valuation firm in order to save time later on when the buy-sell is triggered. Consider, too, the appraisal timeline and who pays appraisal fees. Typically, appraisal fees are paid by the individual owner in a voluntary transfer or dispute, or by the company in an involuntary transfer, such as when an owner dies or becomes disabled. Insurance policies give business owners breathing room when they need it most — that is, when a key person unexpectedly dies or becomes disabled. But how much coverage and which type of policy are appropriate?For many businesses, value may have changed in recent years, requiring a coverage update. A business valuation can help owners determine how much their interests are worth in the current marketplace.When buying a policy, owners need to think beyond shareholder buyouts. Key-person insurance also might provide funds to bridge a temporary drop in sales after a key person leaves. Or it might fund the costs of finding and training a replacement. Rather than wait for a triggering event to occur, some buy-sell agreements call for periodic appraisal updates. This ensures everyone remains on the same page – and minimizes potential conflicts. A buy-sell agreement may not stand up in court if the owners fail to follow its provisions when buying out retirees or adding new ones. 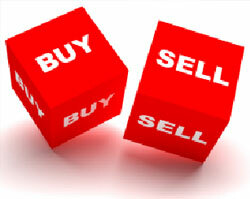 If ownership changes, a valid buy-sell agreement becomes the touchstone that everyone adheres to. Therefore, it should be updated on a regular basis to ensure it contains accurate terminology and desirable buyout terms. Ownership changes needn’t force a business into crisis mode. With careful planning and attention to detail, a buy-sell agreement can be a valuable tool. The more details a buy-sell agreement spells out during normal business conditions, the fewer surprises a company will encounter when an owner leaves. For more information regarding this article, or for recommendations, please contact us at (908) 782-7900 or info@bkc-cpa.com.